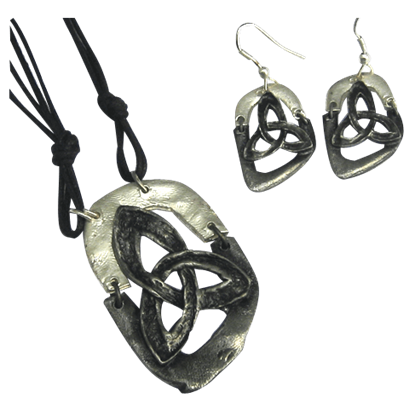 Our Celtic earrings will make the perfect accent to any outfit, whether you are dressed for everyday wear or going to the Ren fair. Show your pride and heritage by wearing any of these gorgeous earrings, made from top quality pewter or sterling silver. The posts or hooks of many of our options are sterling silver. 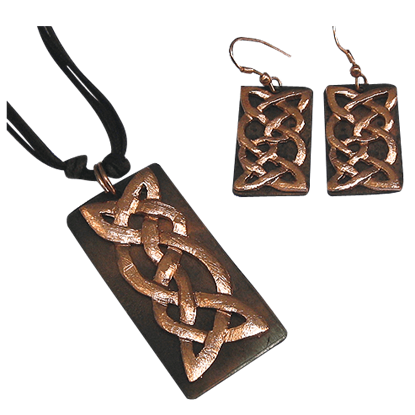 We have a great selection of post style earrings or dangle style earrings featuring winding Celtic knotwork, Celtic Claddagh symbols, Celtic crosses and even modern Celtic designs. 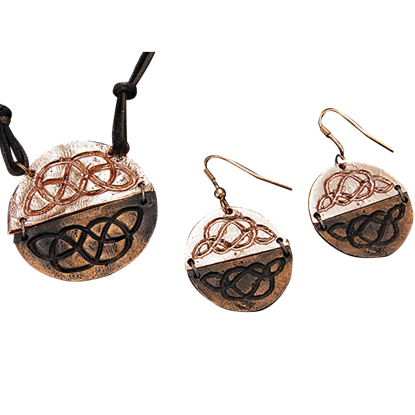 The Antique Brass Wire Art Tree of Life Earrings are both beautiful and meaningful, featuring the Celtic symbol of eternity and interconnectedness. 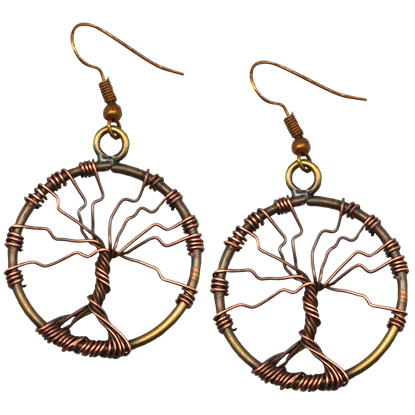 These dangle earrings have a hoop structure with woven wire creating the tree shape. A bit of luck never hurts every now and then. If you draw that luck from a fine talisman or three, than all the better! 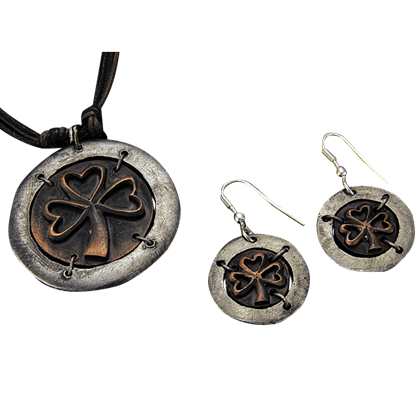 This Antiqued Silver and Copper Lucky Charm Necklace and Earring Set offers up a classic symbol of Irish style. 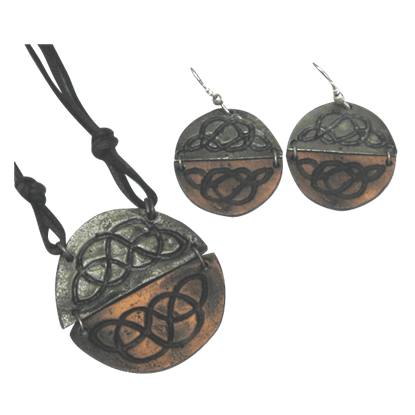 A duo of metallic finishes makes this Antiqued Silver and Copper Round Celtic Knot Necklace and Earring Set such a striking piece. 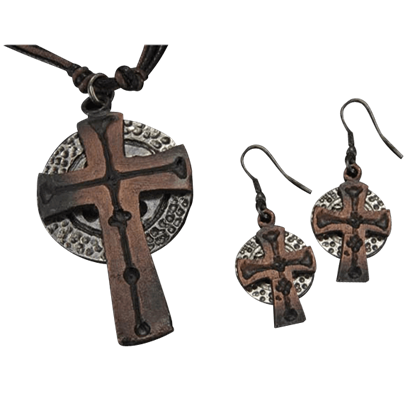 Coupled with its artisanal style, this jewelry set is an easy accent for any lady to own and wear. A lovely accessory is often the key piece that will make an ensemble into something astonishing. 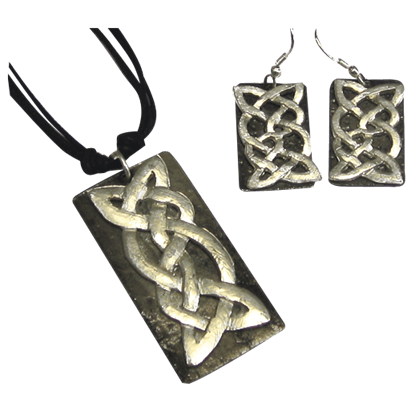 This Antiqued Silver Celtic Knot Necklace and Earring Set offers a hand-crafted look that is certain to be appealing. 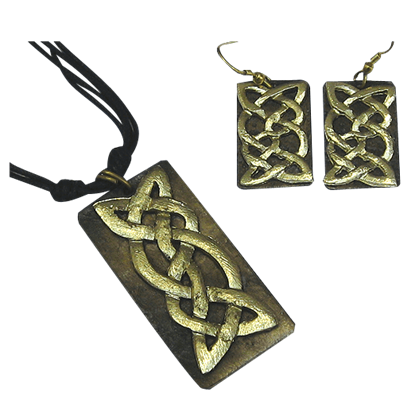 A duo of finishes in the same metal makes this Antiqued Silver Round Celtic Knot Necklace and Earring Set such a striking piece. 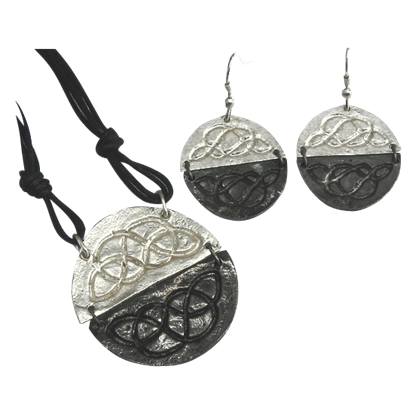 Coupled with its artisanal style, this jewelry set is an easy accent for any lady to own and wear. To some, a trinity knot is more than just an elegant accessory. It can also be a symbol that carries spiritual meaning. 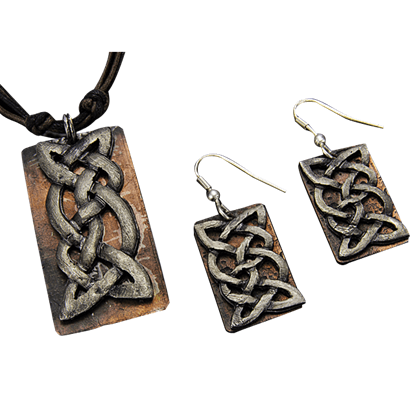 Whichever is the case for you, this Antiqued Silver Triquetra Necklace and Earring Set is a must-have. 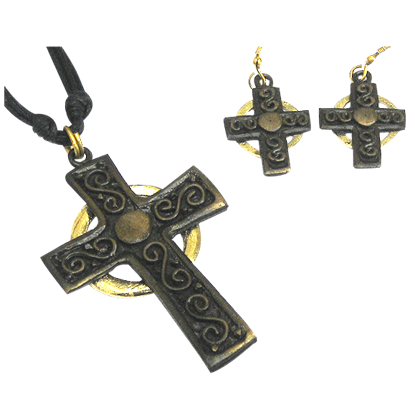 Complete your outfit for the evening with some help from the stunning and unique Brass Celtic Cross Jewelry Set. This original collection will become a favored accent after your proudly wear it to your next social event.